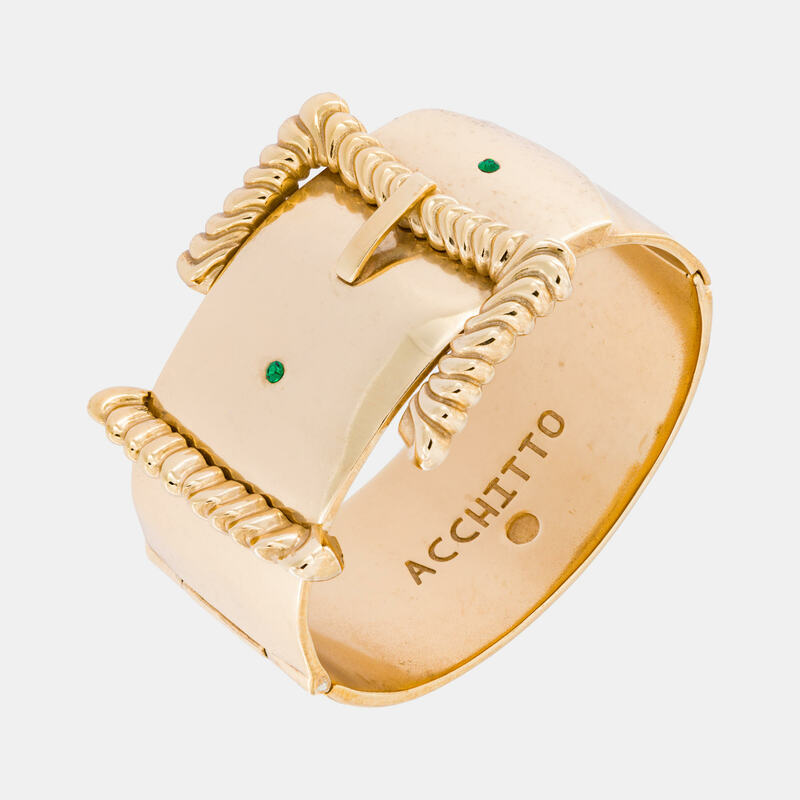 Made of yellow gold-plated bronze, this outsize bracelet with a wraparound design, is the Acchitto reinterpretation of the belt's waist and is inspired by the ancient Victorian jewels. 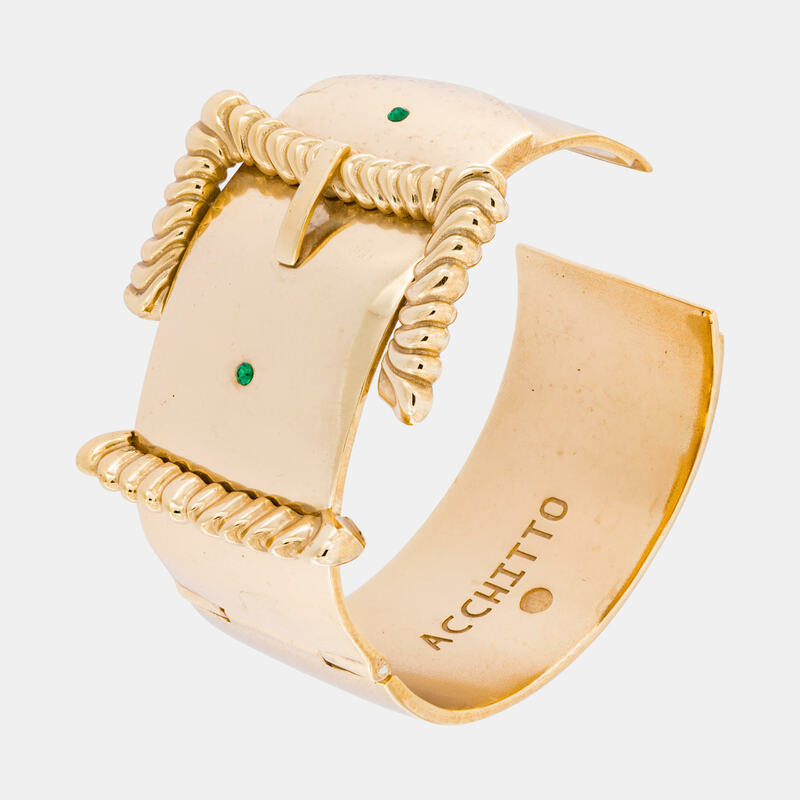 The rigid band that wraps around the wrist is decorated with small crystals that simulate the holes of the belt and the iconic Acchitto buckle characterized by the iconic knurled pattern that gives movement to the surface of the jewel. This bracelet is the symbol of an indivisible promise, pure and free from any convention, a concrete sign of a bond that unites.